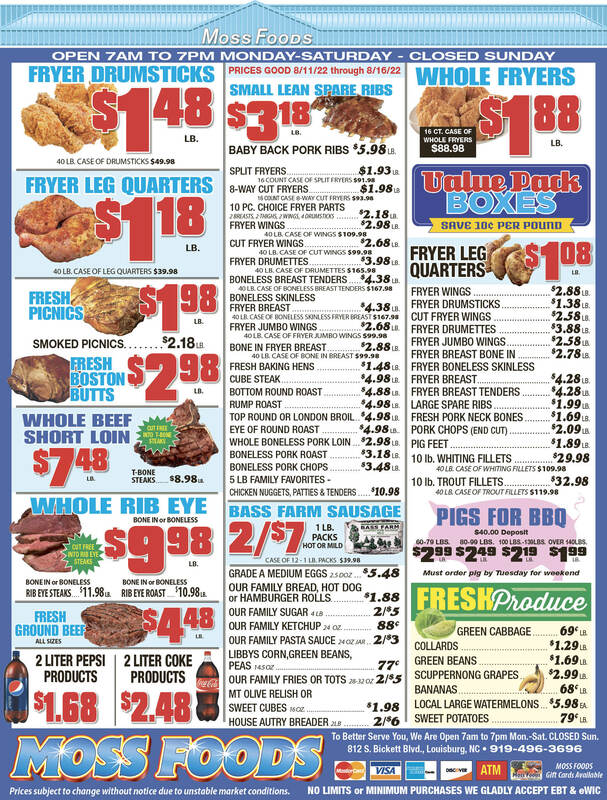 Showing 39 articles from July 8, 2015. Park planner picked with public shut out! LOUISBURG -- Franklin County Commissioners discussed the planning for a nearly $1 million park project while shutting out the public during a Monday night meeting. A review of the meeting's audio revealed County Attorney Pete Tomlinson saying "that's a good thing" when word spread that the media was shut out of the meeting. A few chuckles could be heard on the recording, as well. Tomlinson said his comments were made in jest. C) Flagrant, intentional disregard of the public's right to know what its government is doing? D) A "good thing" as the county attorney quipped. LOUISBURG -- A Louisburg remains in jail and awaits a court date after police allege he stabbed an ex-girlfriend with a screw driver. Derrick Jerome Hicks, 36, was charged with first degree kidnapping, first degree burglary, robbery with a dangerous weapon, communicating threats and two counts of assault with a deadly weapon inflicting serious injury -- besides his ex-girlfriend, police allege Hicks assaulted another man at the residence with a rock. The Franklin County Board of Education, which had called an emergency meeting for Wednesday evening, canceled that session Wednesday afternoon shortly before press time. The meeting was called to discuss a "personnel matter" although what precisely that meant was not disclosed. Then, shortly after 2 p.m., the meeting was abruptly canceled. School board attorney Boyd Sturges said that the "issues that required the emergency meeting had been resolved" and that negated the need for the special meeting. 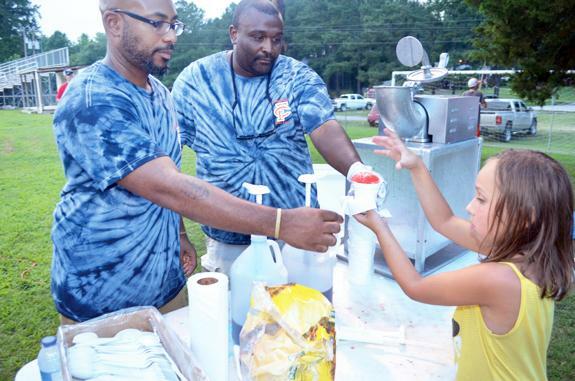 Asia Smith, 8, knows the best way to celebrate a hot, muggy Fourth of July is a cup of flavored ice, served up by Chris Hartsfield (left) and Dyzwoski Hilliard during the county Recreation Department's Fourth of July celebration. The event, with snacks and activities for kids, ended with a big fireworks show to salute the country's 239th birthday. LOUISBURG -- A man who split his commitments amongst a host religious, civic, educational and community pursuits died last week. The Rev. Sid Stafford was 81. Born in Hattiesburg, Miss., Stafford quickly began growing roots in Louisburg. From that time, he was part of numerous groups, all charged with making an impact on the community. LOUISBURG -- The first day of filing for municipal offices has already produced a contested race. Incumbent Elic Senter and Commissioner Art Wright both filed for the mayor's seat. The two last faced off for the seat in 2007, when Senter bested Wright to earn his first term on the board. "I am running for mayor of Franklinton because I believe every election needs at least two candidates to give citizens a choice, otherwise it is only an appointment," said Wright, who has served on the board as commissioner since 2001. 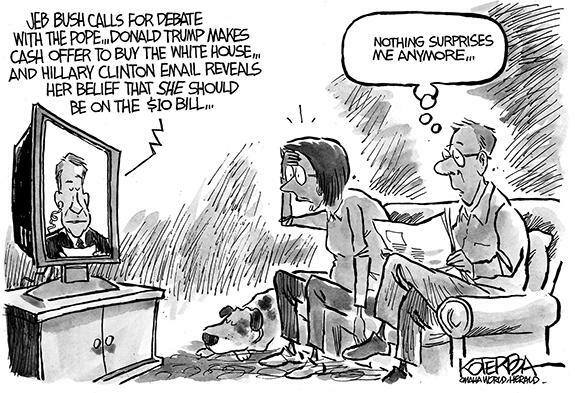 Please, before you read another word, forgive me for this bit of advice: Even though it's a l-o-n-g way to the next Presidential election, we all need to be paying attention this summer! I know, that's like recommending a root canal, but there are a few interesting conversations going on this summer that may have a huge effect on where our nation is headed. If some Republicans in the North Carolina Senate have their way, get ready to kiss your local access to health care goodbye. Led by Sen. Tom Apodaca, who has championed more than one crazy idea, the senate is considering "reform" of the state's Certificate of Need procedure for health care in the state. 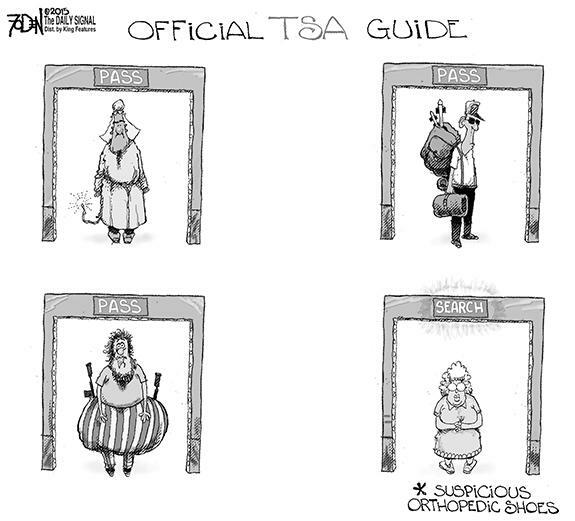 Read "reform" as abolishing the CON program. As a reporter, I'm used to slings, arrows, barbs and, to be honest, downright disdain. I have thick skin. I can take it. So, as I listened to the recording of Monday night's meeting, a couple of responses didn't necessarily get my blood boiling. During the recording, Commissioner David Bunn can be heard saying that he had gotten a text stating that the media was locked out of Monday night's meeting. My degree is in Management. I earned it back in the days when computers were hidden in climate-controlled rooms that were out of bounds for undergrads and a laptop was something a mother sat her toddler on. The point of this is that I've been around a while and have seen a lot of corporate cultures. Let's just say I'm not easily or often impressed. The other night was an exception! Saturday at 1:30, July 4, downtown Louisburg, there were no American Flags to be seen. What was the reason for this disgrace? Our Bibles, Ten Commandments, and now flags. Morals and respect have changed to any way the mop flops is OK.
FRANKLINTON - Pamela Radford Kearney, 64, of Franklinton died July 7, 2015. 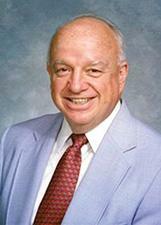 Born on October 18, 1950 to the late Domas Radford and Lavern Griffin Stott. 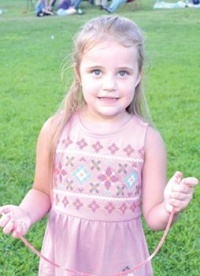 Pamela was also preceded in death by her daughter, Julie Renee Kearney. Pamela was a retired school teacher with 33 years of teaching. A long time active member and a deaconess of Mt. Olivet Baptist Church. GONNA BE CLOSE. 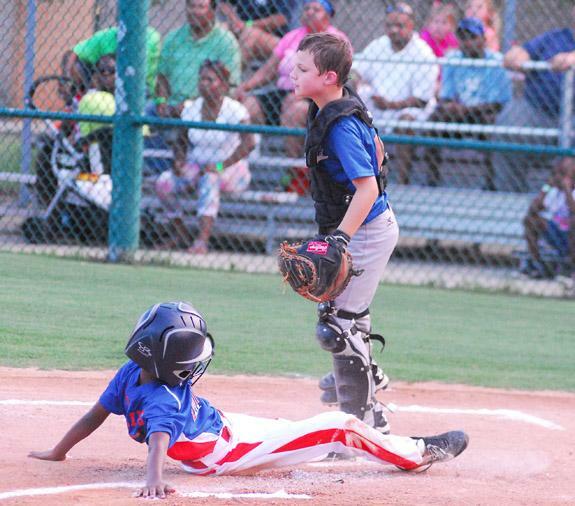 Louisburg's Jodus Leonard (right) slides into home plate during Tuesday evening's district tourney victory against Zebulon. 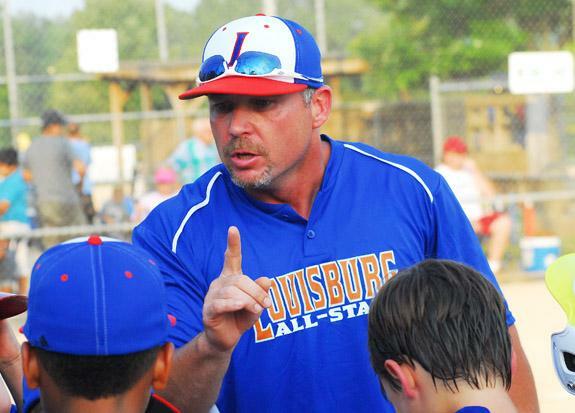 WENDELL -- If there's a coach whose style exemplifies the way he once played the game, it's Louisburg Coach-Pitch All-Stars skipper Chad Champion. During his days at Louisburg High School, Champion gained the reputation of an intense, all-out, always-hustling performer. HEAT IS ON ITS WAY. Louisburg's Austin Roberson delivers a fastball during his club's first-round victory at the Tar Heel League District 6 9-10 Baseball Tournament at Knightdale Park. KNIGHTDALE -- Louisburg's successful Coach-Pitch club from last year has been split up -- with some staying on that level and others advancing to the 9-10 Division. 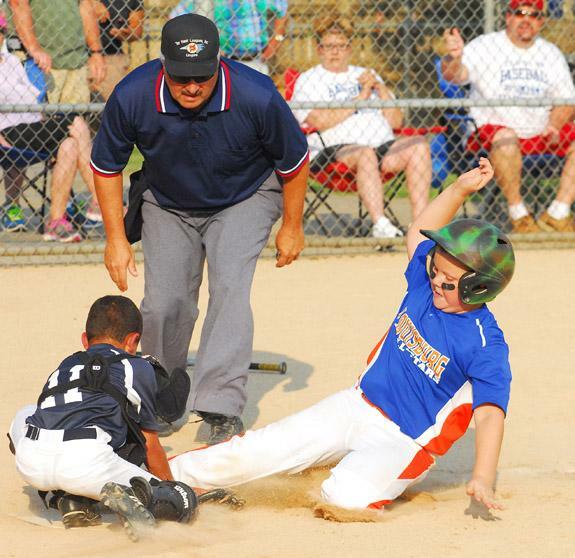 For the 9-10s, Monday's Tar Heel District 6 Tournament opener provided a trip down memory lane as the game was held on the same field at the Knightdale Community Park as last season's C-P Tourney. TAG TIME. Bunn second baseman Blake Collins makes a tag for the Wildcats during Tuesday's Coach-Pitch showdown against Garner. 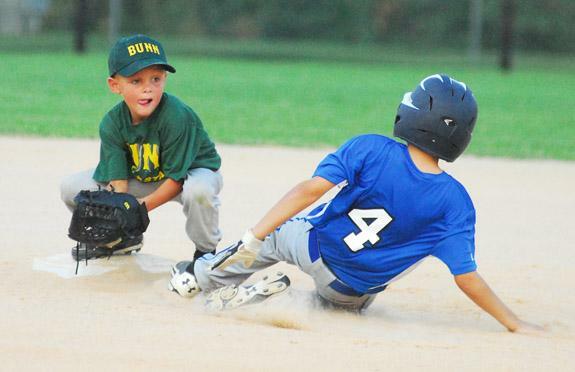 WENDELL -- Gaining experience -- and having some fun along the way -- has been the main priority for the Bunn All-Stars at the Tar Heel League Coach-Pitch District 6 Baseball Tournament. The Green and Gold, coached by George Hanna, went 0-2 as part of the double-elimination event, which was held at Carver Elementary School in Eastern Wake County. HIT PARADE AT LHS. 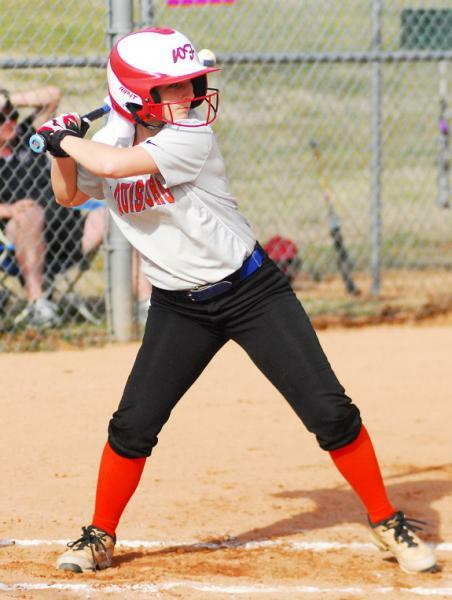 Louisburg High School junior standout Katlyn Tharrington has been saluted as the Tar-Roanoke Athletic Conference Softball Player of the Year for the 2015 campaign. 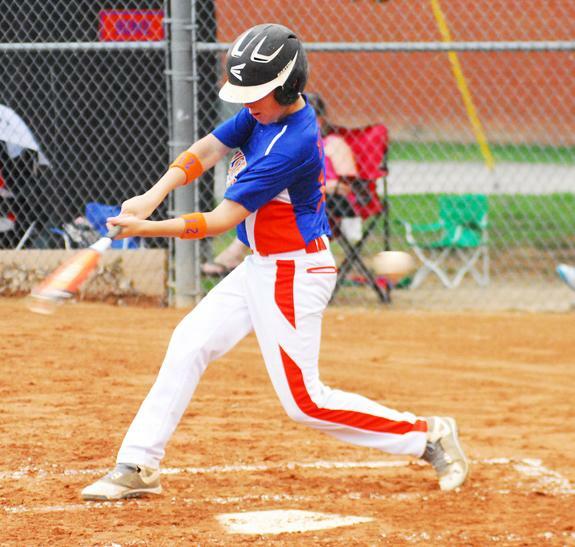 LOUISBURG -- Louisburg High School put an exclamation point on its season-long dominance of the Tar-Roanoke Athletic Conference with a strong spring sports showing. As a result, LHS wrapped up the Wells Fargo Conference Cup Championship for the TRAC -- marking the first time the school claimed the award in at least six years. SALEM, VA. -- Yoilan Cerse hit a three-run home run in the fifth and Salem Red Sox starter Ty Buttrey allowed just two runs and five hits over six full innings as the Sox took game one of a three-game series 7-2 against the Carolina Mudcats on Tuesday night at Lewis-Gale Field in Virginia. Andrew Waszak started for the Mudcats (40-42, 6-7) and suffered the loss after allowing four runs and seven hits over four and 1/3 innings pitched. 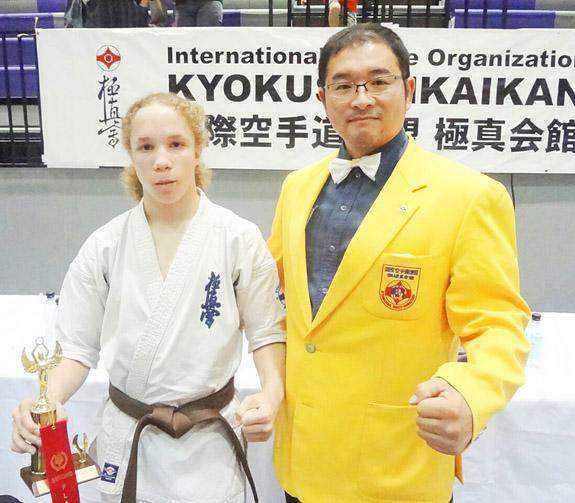 NEW YORK -- Christian Buffaloe, 15-year-old local youth, recently competed in the "2015 All American Open International Karate Championships" in New York City on June 27. This prestigious annual event is sponsored and organized by the International Kyokushin Karate Organization in Tokyo, Japan and featured fighters from Japan, Russia, Ukraine, Europe, Australia, South Africa, Canada, and South America. BUNN -- Bunn High School continues to be dominant in the varsity baseball level of the Central Carolina Scholastic League. The Wildcats are now 10-0 overall after sweeping a pair of matchups this week against Durham Riverside. BHS claimed Monday's road game by a tally of 11-4 as Thomas Dean was the winning pitcher with four strong innings of work. The Wildcats never trailed after scoring five runs in the first stanza of action. Louisburg's Mason Leonard lunges and is safe at first base as a Zebulon player stretches for the throw during Tuesday's District Coach-Pitch Tournament game. 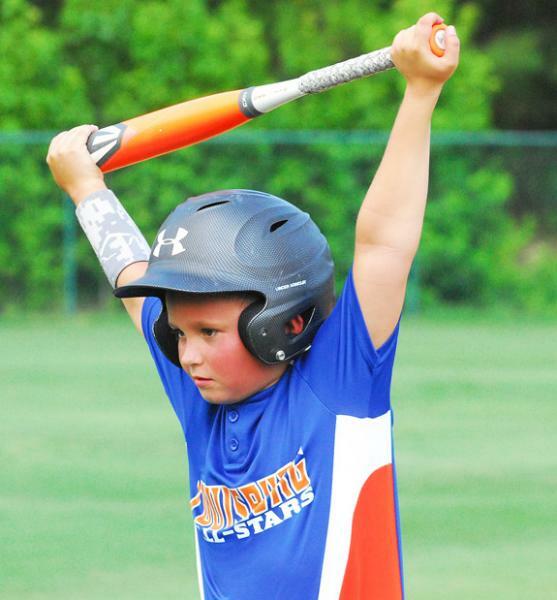 Louisburg's William Dement prepares for an at-bat during Monday's tournament action at the Tar Heel League District 6 9-10s event at Knightdale Park in Wake County. Louisburg High School senior veteran Cooper Bolton was the pick as the 2015 Tar-Roanoke Athletic Conference Baseball Player of the Year. Louisburg's Darius Collins slides safely into second base. 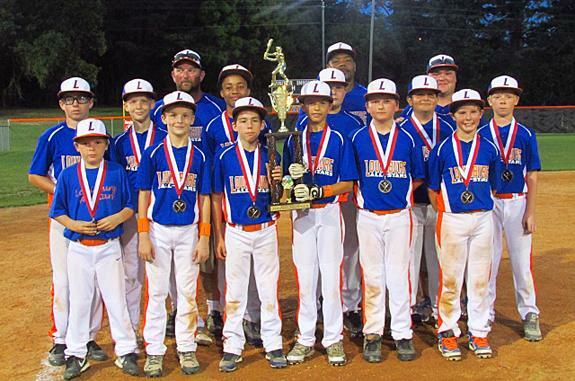 The Louisburg 12s All-Star Team took second place at the recent Tar Heel League District 6 Baseball Tournament at Louisburg High School. 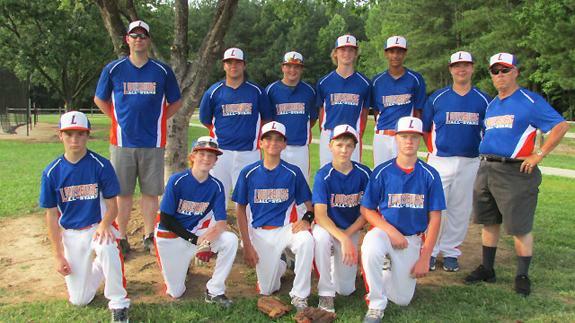 The Louisburg 14s All-Star Team claimed third place at the recent Tar Heel League District 6 Baseball Tournament at Zebulon Community Park in Wake County. 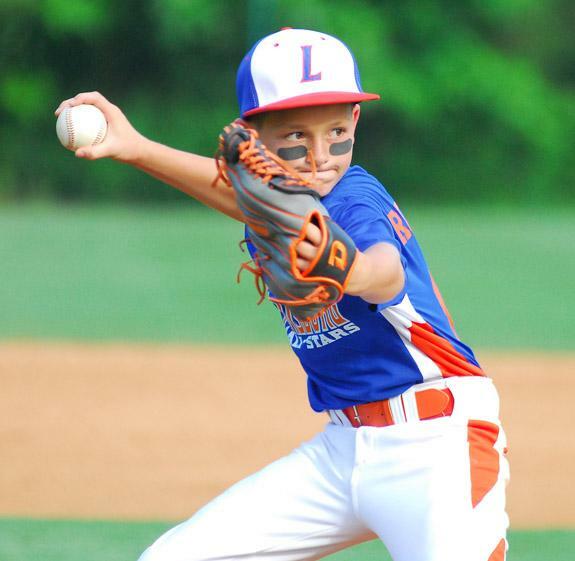 Jeremy Milton played a key role for the Louisburg 12s during the club's second-place finish at the Tar Heel League District 6 Baseball Tournament, which was held recently at the Louisburg High School Softball Field. 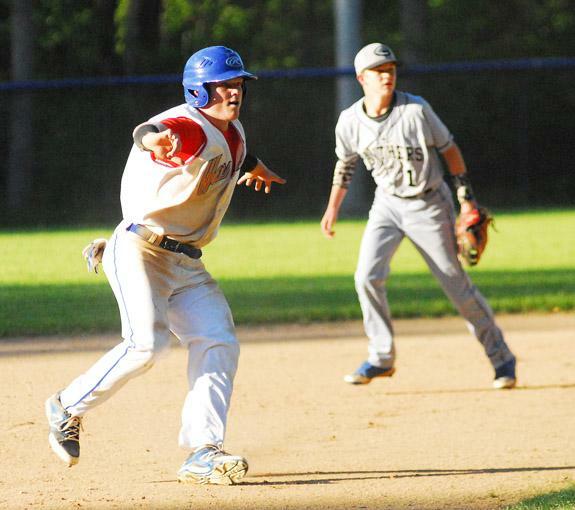 Louisburg reached the finals before falling to Garner Baseball Inc. 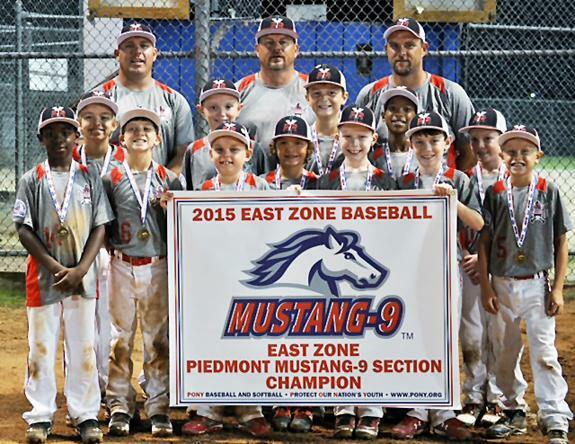 The Youngsville Red Raiders recently won the championship at the 2015 Pony Mustang-9 East Zone Piedmont Sectional Tournament at the Garner Baseball Complex in Wake County. 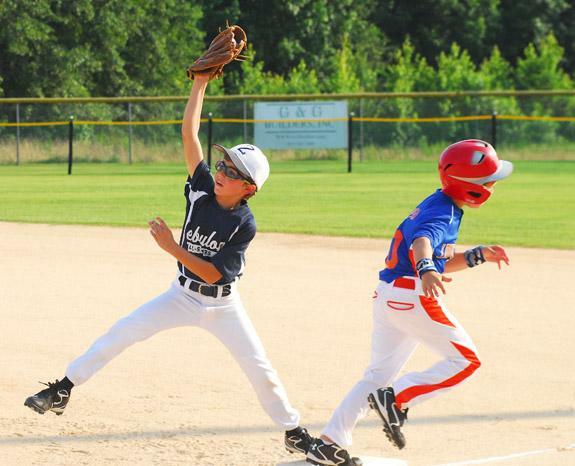 Next up for Youngsville is a spot in the East Zone South Regionals from July 13-17 at Iron Bridge Park in North Chesterfield, Va. (just south of Richmond). 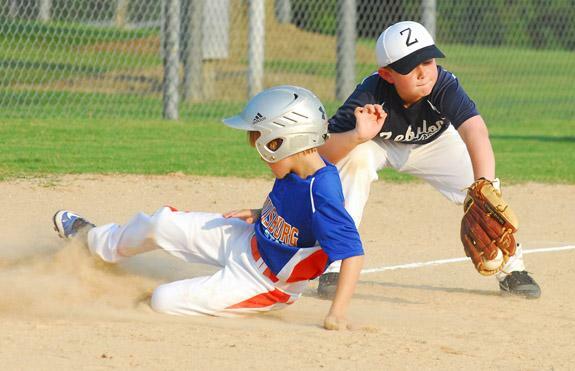 Louisburg's Tanner Rigsbee slides safely into third base during his team's victory over Zebulon on Tuesday at the Tar Heel League District 6 Coach-Pitch Baseball Tournament at the Carver Elementary School Fields in Wendell. Louisburg All-Star baseball coach Chad Champion addresses his club during Tuesday evening's tournament victory over Zebulon. Fran Dement of Louisburg and Steve Dement, also of Louisburg, announce the engagement of their daughter, Ashleé Danielle Dement, to Taylor Robert Neal, the son of Andy and Lisa Neal of Louisburg. 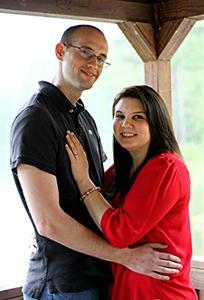 The wedding will take place Aug. 1, 2015 at Centerville Baptist Church. 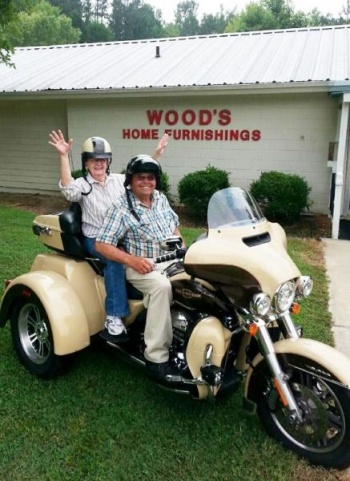 Wood's Home Furnishings owner Harold Wood celebrated his 80th birthday on July 3. Harold's wife Bonnie turned 80 on July 2. While it is normal to see Harold on his bike, it is a rarity to see Bonnie on it. In fact, this may have been her first ride ever! Recently, Franklin County Highway Patrol Troopers B.E. Pulliam and Derek Ball presented compelling information to a group of teenagers and parents from Wood Baptist Church on the importance of safe teen driving. According to Trooper Pulliam, distracted driving and not wearing seat belts often result in serious and even fatal accidents for teen drivers. 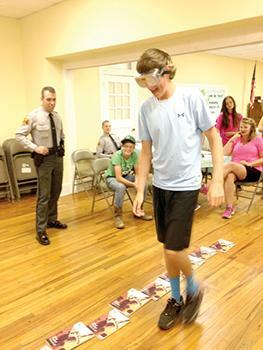 Following the presentation, the teens and parents were able to experience an impaired simulation using "fatal vision" goggles. Continuing this summer, two area chefs, Tamika Houze and Jim Pfifferling, from Louisburg College are networking with the Franklin County Extension office to prepare and serve summer dishes utilizing local produce available from the Farmer's Market. RALEIGH -- Franklin and Wake counties are the latest to come under quarantine rules restricting the movement of hardwood firewood, ash nursery stock and other ash materials after emerald ash borers were confirmed in both counties. The beetles have been responsible for the death or decline of tens of millions of ash trees across the country. Agriculture Commissioner Steve Troxler signed an emergency quarantine order this week allowing the quarintine expansion.